Jollibee is so popular in the Philippines that almost every block in Metro Manila has one Jollibee store. Jollibee somehow thwarted McDonalds goal of invading the Philippines. 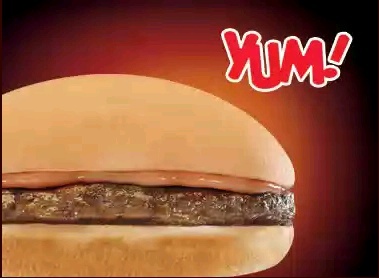 Leading on my list of best food in Jollibee Menu is the Yum Burger. I believe that it is one of the top food in Jollibee Menu because of its popularity. As far as I know, Yum Burger is not the best burger in the Philippines. The patty is not pure beef and can be liken to the ones being sold by Angel Burger and other food stands located on sidewalks. However, I observed that Yum Burger is the most ordered food in Jollibee Menu. Looking for sweets in Jollibee Menu? I bet that you will order Jollibee's Sundae as your dessert. Sundae is the counterpart of Yum Burger in terms of popularity. The simple Sundae of the past now has various flavors. 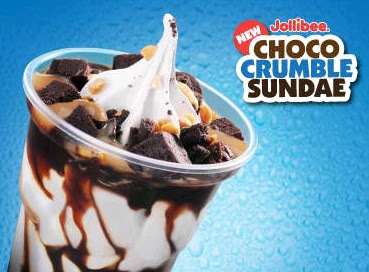 On the Jollibee Menu, you will find Chocolate Sundae, Choco Crumble Sundae and Rocky Road Brownie Sundae. This is another popular item on Jollibee Menu. If a Jollibee costumer wants to eat a heavy meal or a meal with, you can bet that it is very likely that the customer will choose the Jollibee Chickenjoy with rice. As for me, the Jollibee Chickenjoy is OK. It is crunchy and yummy. However, I still prefer the fried chicken that is cooked in my home. 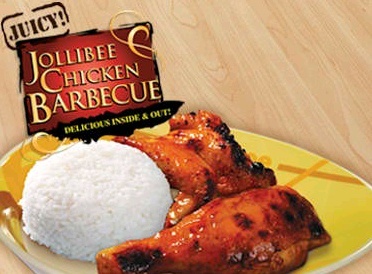 When I ordering a heavy meal at Jollibee, I usually pick the Jollibee Chicken BBQ on the Jollibee Menu. 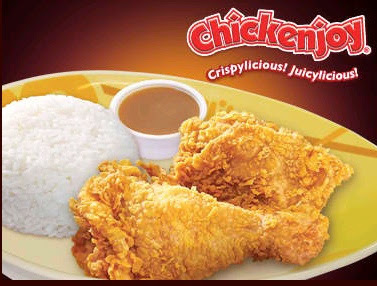 I think that it taste better than the Jollibee Chickenjoy because it is less bland because of the honey sauce. My only complaint with the chicken bbq is that sometimes it is burnt or charred. This is my favorite of all the food on Jollibee Menu. When I am still working in a small company, my co-worker and I usually eat at Jollibee. 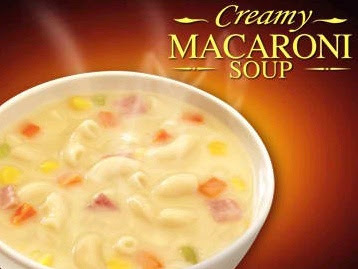 I always choose either the Shanghai Rolls or the Burger Steak, which I partner with creamy macaroni soup. Too bad that Jollibee removed it from the 39ers Value Meal. Seems like Jollibee noticed that it is a quite popular item on Jollibee Menu. So, that’s my top five food on Jollibee Menu. How about you? What's your favorite on Jollibee Menu? Visit Before the Eastern Sunset and read about my training in UP MSI. One chicken joy and Jolly Spaghetti coming up! Yum! Yum! No Jollibee here. Had an outlet in Kuching but dunno if it is still in business or not. You haven't visit the Jollibee outlet in Kuching?